The affordable housing solution from the UK - for under $20k! We have to be able to build affordable homes in NZ – that has been the political cries of the past few months – well maybe there is an answer. 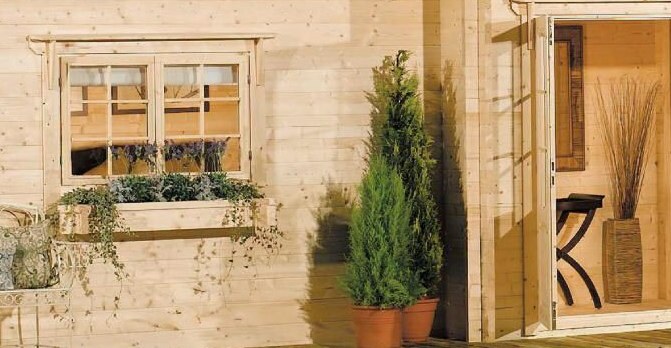 For just $20,000 (plus shipping costs) we could have this 30m2, 5 room flatpack log cabin from Tesco in the UK! For less than it seems to costs to get consents to start work building a house in NZ you seen to be able to have a whole one in the UK!! Why is it that in a country that produces so much construction lumbar and ships it in raw logs overseas can we not turn our hand to creating this type of solution? There are certainly sleepouts and cabins for sale in NZ. But look for just a minute at the detail in this flat-pack cabin. It is described as luxurious – it has 5 rooms with an upstairs storage area, it has shingle roof tiles, 8 toughened double glazed windows – the walls are 44mm thick interlocking wall boards. This is a product which demonstrates what can be achieved when you apply modular design with mass production techniques. The massive population markets of Europe make this a possible solution to be made in the UK, but could we not apply the techniques to our geography and build and export a similar higher spec version complete with services for less than $100k? This cabin is not the solution to NZ housing crisis or affordability issue but it should be viewed more as a lightening rod to challenge and stimulate thinking about the issue with a new pair of eyes.